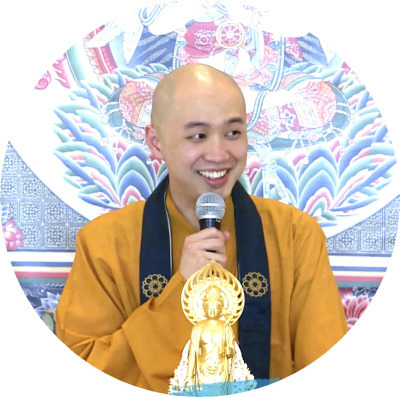 We are a Singapore-based Mahayana Buddhist group dedicated to the propagation as well as the continuation of the Shurangama Sutra, its Dhāraṇῑ, Avalokiteśvara Ear-faculty meditation cultivation and Mahayana Sutras. 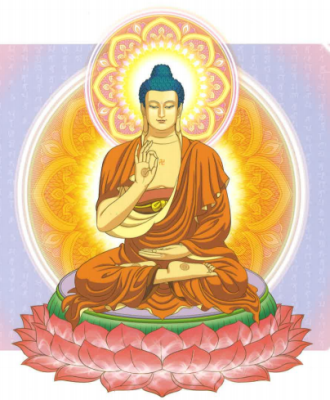 In this Dharma ending age, we vow to work together to assist and make known the Shurangama Sutra to as many beings as possible. 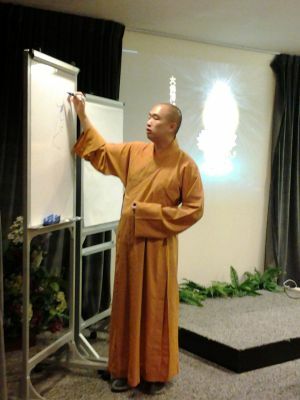 Venerable Hong Bok holds a BSc (Hons) Degree in Chemical Technology. 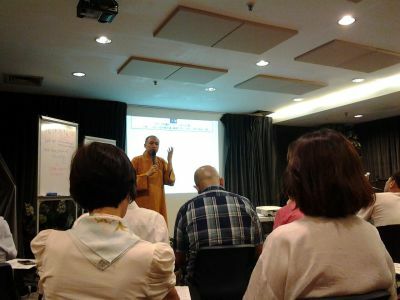 He is fluent in Mandarin, English, Japanese, Bahasa Melayu, Chinese dialects and has a deep knowledge of Sanskrit. 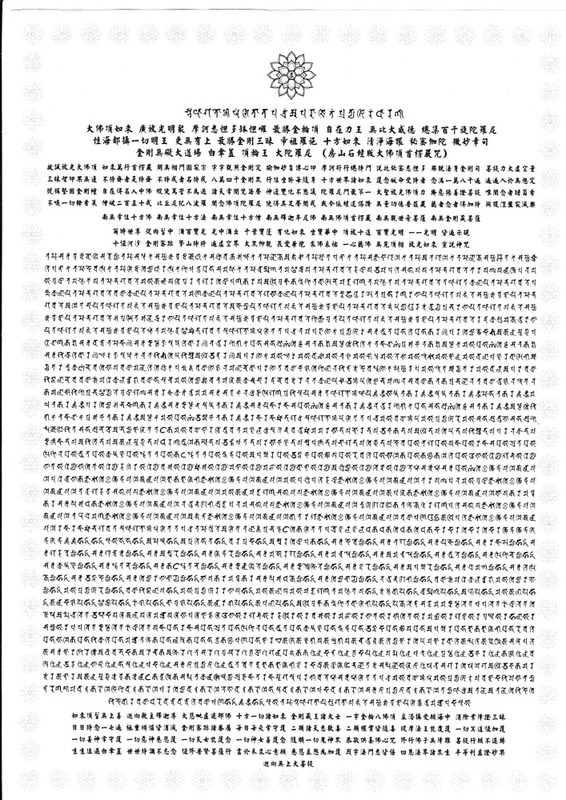 He completed the Sanskrit transliteration of the Shurangama Dharani from Mandarin, with the revised standardised version in February 2016 . He is a much sought-after Shurangama Sutra teacher. 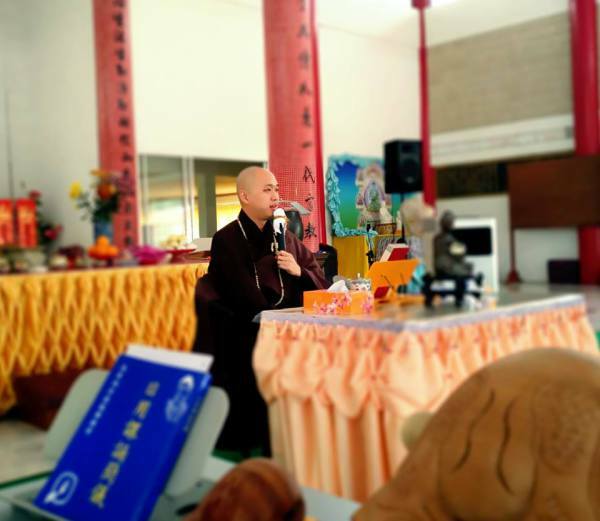 In 2012, 2014 & 2015, he was invited to conduct 7-day Shurangama Dhāraṇῑ Retreats in Sanskrit at Rui Ji Monastery in Fujian Province. 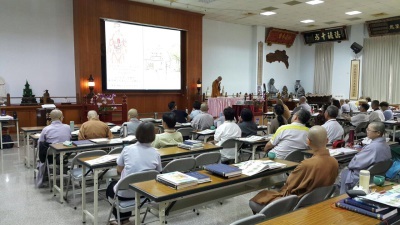 In June 2015, Venerable Hong Bok was invited to Taiwan to conduct classes to the Sanghas at MahaChulalongkornrajavidalaya University (Taiwan Affiliate). 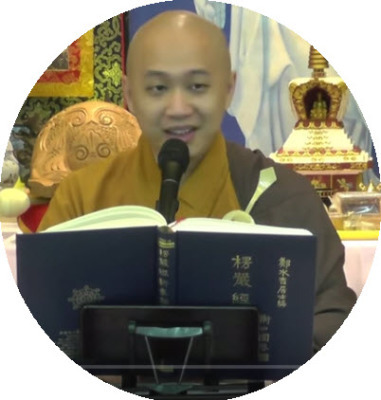 In addition, Venerable Hong Bok is a prolific speaker in the Shurangama Sutra and his talks feature frequently on youtube. 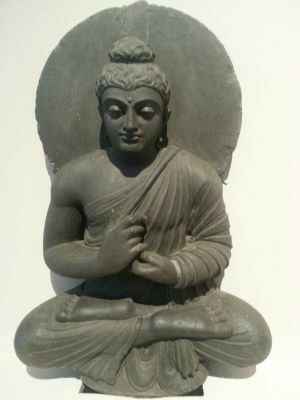 Mahayana, Shurangama Sutras & Sanskrit Shurangama Dharani. 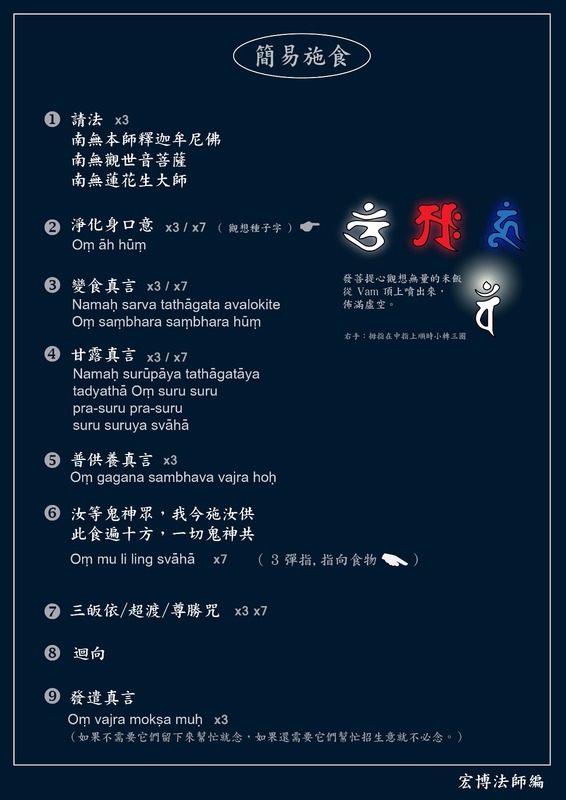 Venerable Hong Bok 宏博法师 has compassionately shared with us a SIMPLE food offering ritual to hungry ghosts that he taught to MUBVA and Truum Society members drafted by himself.